Q: A friend is looking for ideas to plant on the side of her house that sees almost no sun at all. She needs something to go with the inevitable hostas. Tip #1: Ferns will do wonderfully. Ferns have varied texture like other plants have colorful blooms. Small to large leaves. Wide to narrow fronds. Scented foliage. Varigated foliage. There are lots of options in picking ferns. 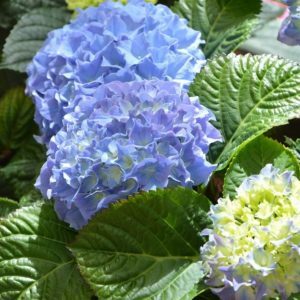 Tip #2: Hydrangea bushes love dense shade and they are hardy and beautiful. I live in southern Michigan and we have fierce winters. The flowers can be cut and brought in for a glorious bouquet, and if you just leave them, they will dry out right in the vase, and you will have a nice arrangement all winter long. Colors vary and have to be enhanced, so be sure to ask the nursery how to keep their color. I have white ones and they dry to a light brown color. Tip #3: I’ve always have had good luck planting Forget-Me-Nots and Evening Primrose (also known as Buttercups), but be careful because they like to re-seed themselves and they will cover the entire area in a short time. If you don’t want them to overtake your garden, you can dig up some of them and re-plant elsewhere, or give some away. Another nice thing about this combination is that the Forget-Me-Nots are blue, pink, and purple, and the Evening Primrose is yellow and it brightens up a shady area. Another good choice is Astilbe, which has long feathery plumes. 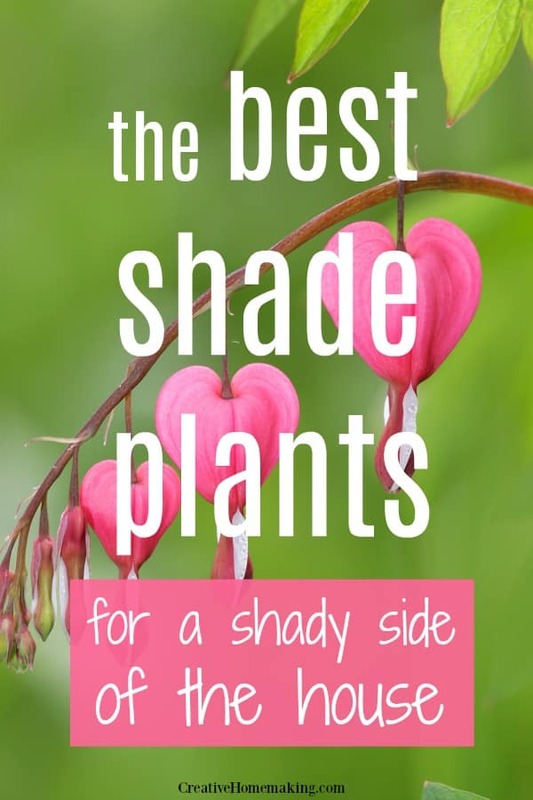 Tip #4: Here is my list of new plants that I am going to try this year: Day Lily, German Iris, Primrose, Hostas, Azaleas, Rhododendron, Ajuga, Christmas Rose, Siberian Buglon, Bleeding Heart, Monkhood. Tip #5: I put a Bleeding Heart on the north side of my house. It does very well there. I’ve never seen one bloom as much as this one. Also, Lathium does well. It will spread quite a bit. Stays low to the ground and is covered with blooms all summer. Tip #6: In Missouri we plant Impatiens. They come in all kinds of colors and like shade.